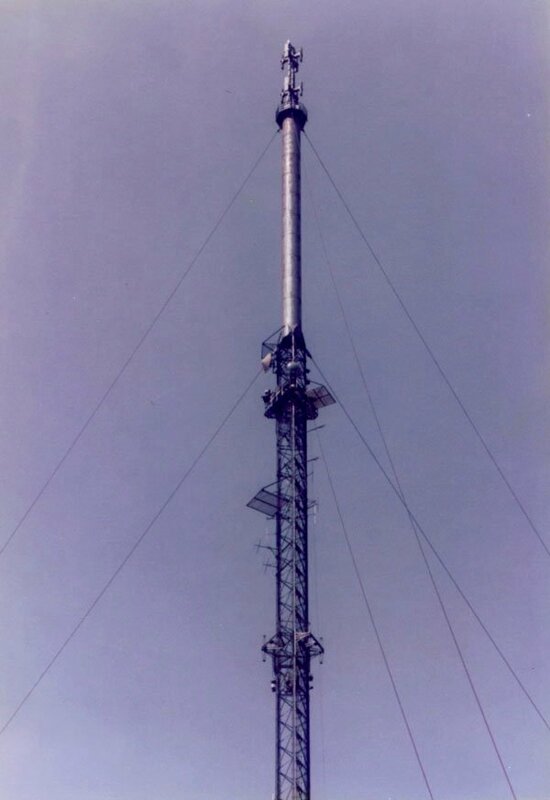 June 20, 1982: At this point the original 1951 mast was in full use with the vertically-polarised TV antennas at the top still radiating 405-line BBC 1 on VHF channel 2 and the vertical slot antennas in the cylindrical section sending out horizontally polarized Radio 2, 3 and 4. 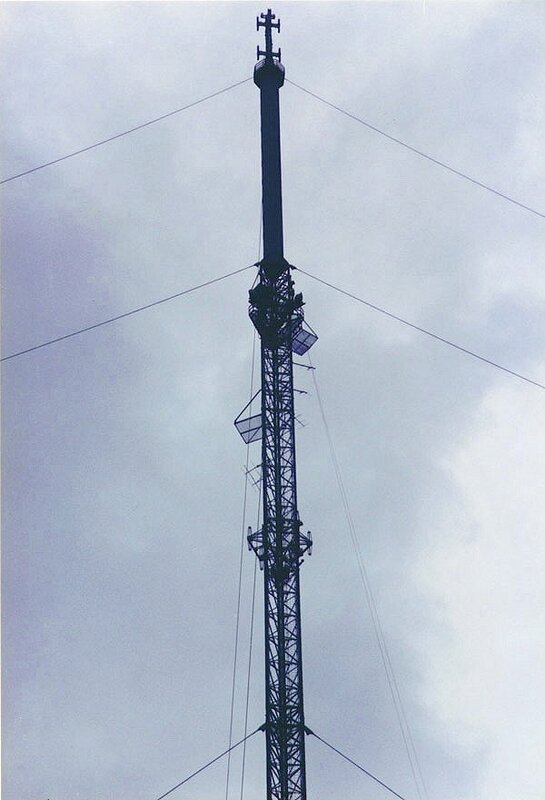 The Local Radio services for BBC Radio Manchester, Leeds and Sheffield employed directional Yagi antennas tilted at 45 degrees for mixed polarization. There are ice shields visible above these antennas to protect against falling ice. 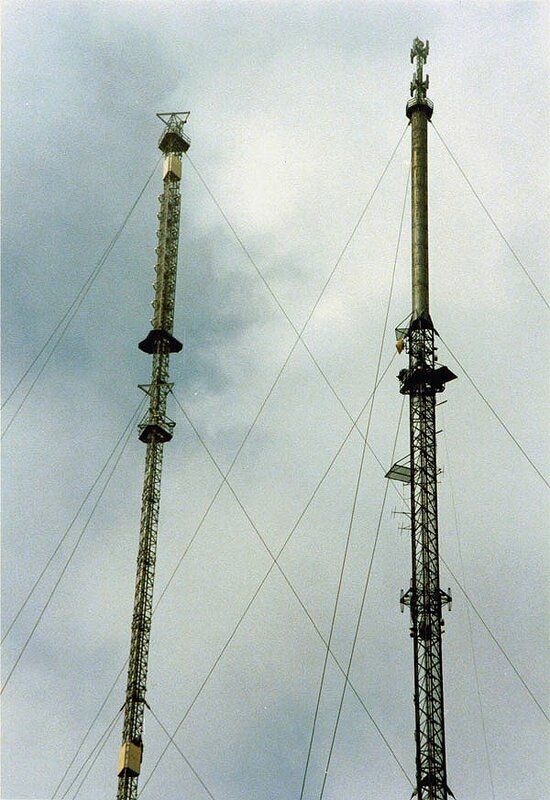 Despite the directional antennas, I remember that the two Yorkshire-side local radio stations could be received at good strength on the Lancashire side of the Pennines as well. 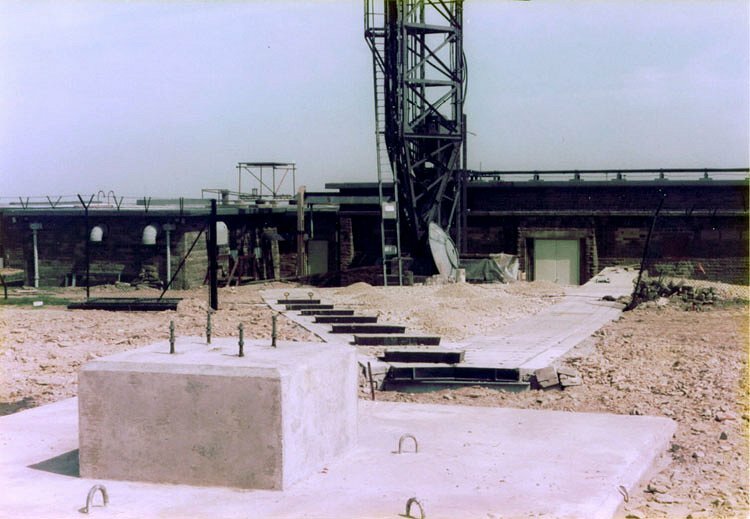 June 19, 1983: Up in the air everything looks much the same, but at ground level, preparations were being made for the new VHF-FM radio mast -- and the concrete base was already in place. 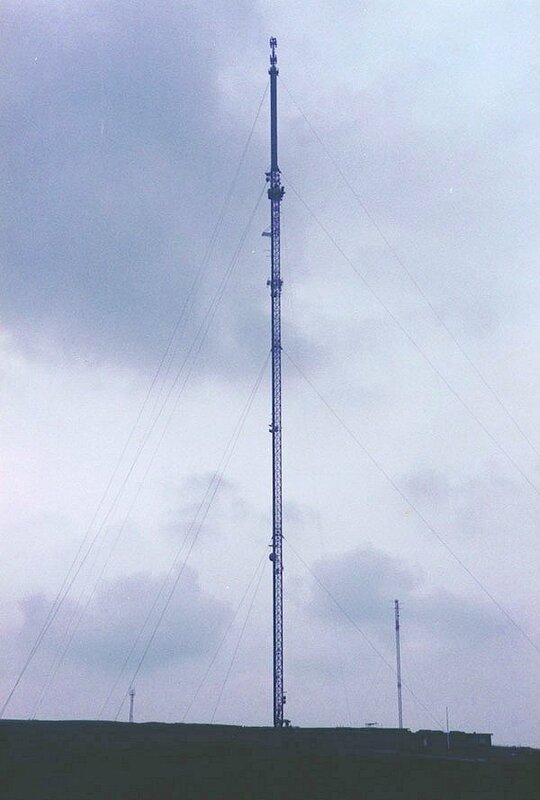 June 17, 1984: The new mast with its mixed polarization VHF-FM antenna was in place, radiating a total ERP of 240 kW on each of Radio 2, 3 and 4. 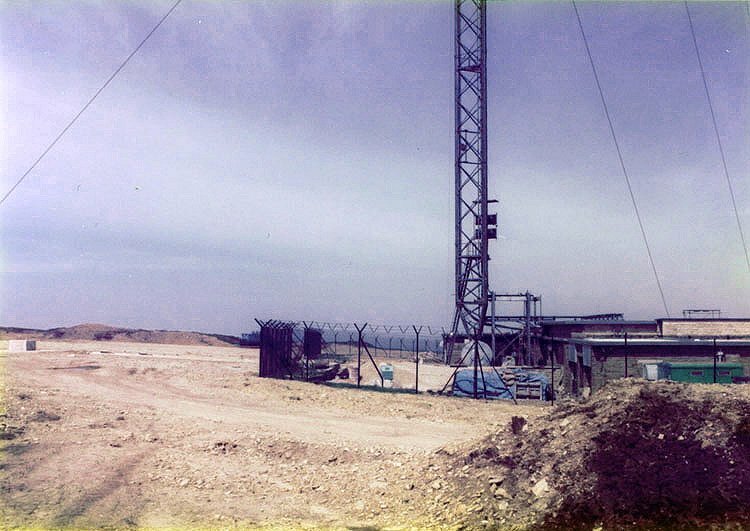 The original tower was still alongside, sending out 405-line VHF TV until that service closed in early 1985. 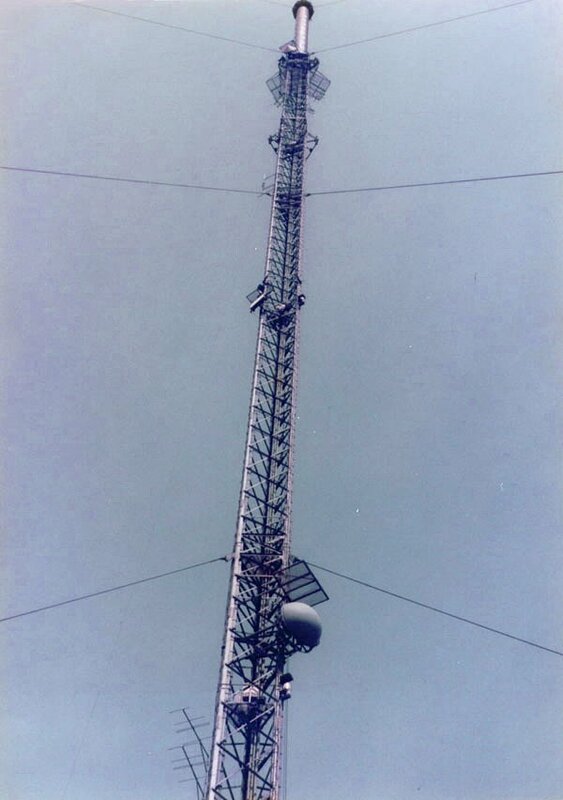 I remember the mixed polarization FM signals improved vehicle reception on VHF around Rochdale and Littleborough. 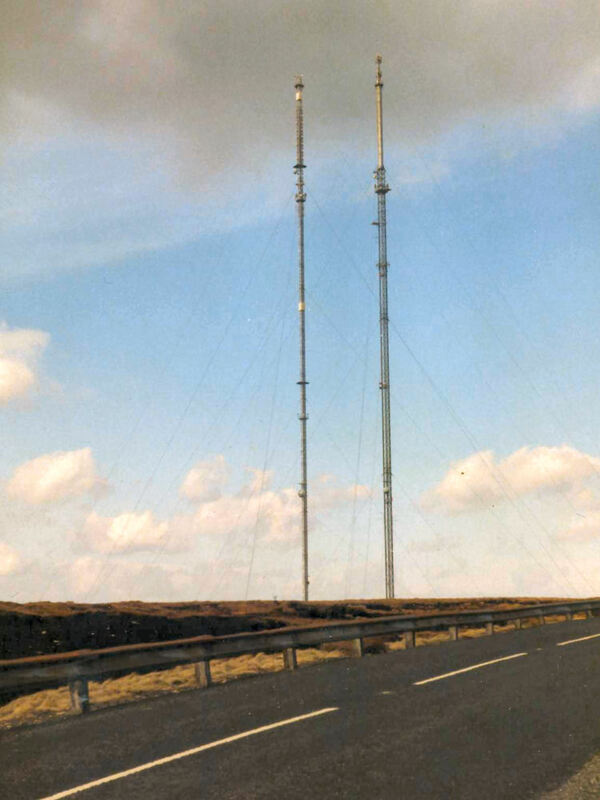 Finally, this photo of the two masts was sent in by Derek Spence who said "Although I have seen photographs of 2 masts at Holme Moss, I have only seen photos of them in bad weather. I hope that this photo will rectify this".